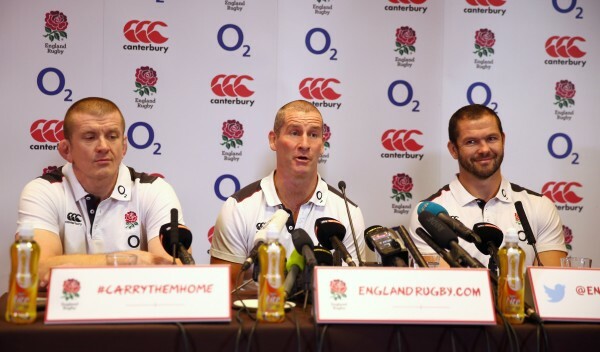 England’s disastrous early exit from the Rugby World Cup has just got even worse as their coaching team is now being investigated for an alleged breach of protocol. World Rugby organizers are now examining whether a member of England’s coaching team approached a match official during the defeat to Australia. There are strict rules in place saying that coaches are not allowed to approach officials during a match or at half-time. These rules were allegedly broken on Saturday evening. The statement released on Monday did not specify the England coach or coaches in question, although a report in Australia states that members of the coaching team approached match officials in the tunnel at Twickenham at half-time. “World Rugby is investigating an alleged breach by the England coaching team of the match-day communications protocol between match officials and team members or union officials during the Rugby World Cup 2015 Pool A match between England and Australia at Twickenham on 3 October. “The protocol prohibits certain conduct on match days including coaches approaching match officials during a match or at half-time during a match,” World Rugby’s statement continued. This only adds to England’s misery as they are already facing a possible punishment for their failure to fulfil media obligations for the mixed zone after the defeat by the Wallabies. Citing Hooper after the match officials deemed it an on field penalty looks like the RWC officials need a scapegoat for knocking out the hosts. Absolute disgrace if this gets passed the reading stage at the tribunal. Is Burgess getting cited for the high tackle?????????? ?